Wrappup co-founders Ayush Chordia, Rami Salman, and Rishav Jalan. Dubai-based startup Wrappup has been acquired by the California-headquartered Voicera for an undisclosed sum, with the former’s team joining the latter to work on platform growth, as well as cutting edge AI research and development. 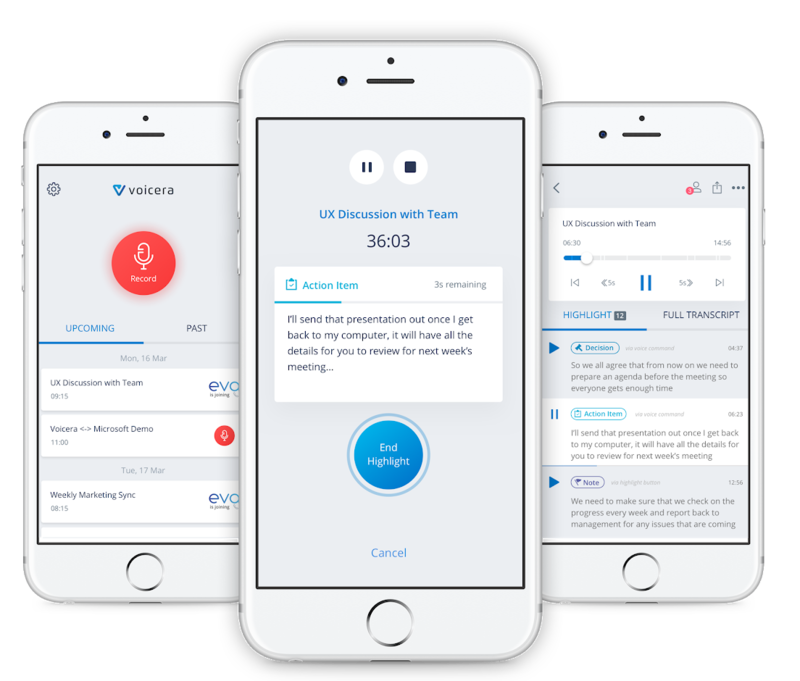 As a mobile app that made use of AI to auto-summarize meetings, Wrappup fits it neatly with Voicera’s own offering, which leverages a combination of voice recognition, natural language processing, and machine learning to provide attendees of a meeting with a full recording and transcription, as well as high accuracy meeting highlights. The Voicera app. Image credit: Voicera. “When we first started Wrappup, our vision was to put back the focus on conversations itself, and let AI do the hard work,” added Ayush Chordia, co-founder and CTO, Wrappup, who will now be Director of Engineering and Applied Research at Voicera. 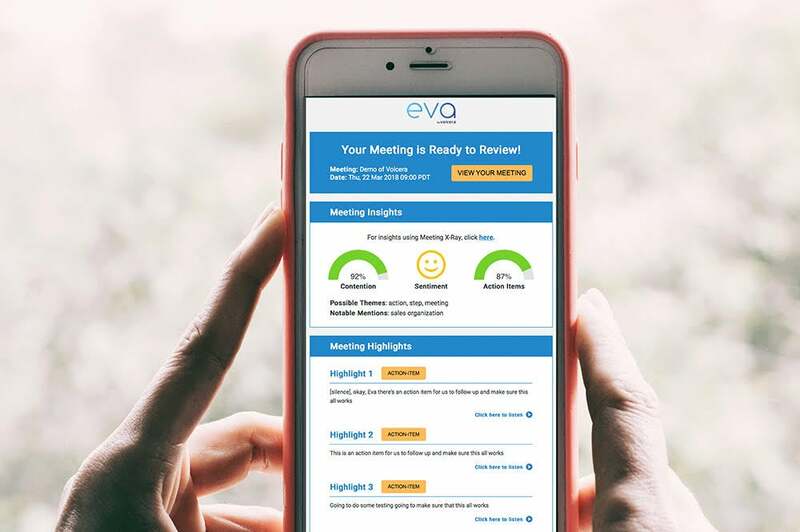 “Meetings today are very ineffective, and most times, outcomes and action items are not tracked leading to inefficiencies. As we embarked on this journey, we realized we have a greater problem to solve, and the acquisition by Voicera will help us realize our full potential and achieve the goals that we set out when we first started the company. The value of surfacing important moments from conversations are not just restricted to meetings; we think it is a launchpad for lot of future possibilities." Along with Salman and Chordia, Wrappup's third co-founder Rishav Jalan will also join Voicera as Engineering Manager. Wrappup, which was founded at the Angelhack Hackathon in Dubai in 2015, had been incubated at in5 in Dubai Internet City, and had also raised a seed round of US$800,000 from investors like BECO Capital, 500 Startups, Arzan VC, Dubai Silicon Oasis, Womena, Dubai Angel Investors, Odin Financial Advisors, and Hala Fadel. On the other hand, Voicera, which calls itself “a pioneer in the artificial intelligence and productivity space,” has received $20 million in venture funds from investors like Battery Ventures, Cisco Investments, e.ventures, GGV Capital, Greycroft, GV (formerly Google Ventures), Microsoft Ventures, Salesforce Ventures and Workday Ventures.